Like plants, humans and communities cannot thrive in an unhealthy environment. The important first step in creating a healthy ecosystem is to secure our cities’ vacant, abandoned and unsafe properties. For Western Reserve Land Conservancy’s Thriving Communities Institute, this is the work of establishing and supporting county land banks throughout Ohio. We are convinced that this tool is an essential element in stabilizing our fragile cities. County land banks, formally called county land reutilization corporations, provide our counties with much-needed ability to quickly acquire foreclosed and vacant property. These land banks can safely hold a distressed property, clean its title and prepare it for a better day. The goal is to secure vacant properties – which would otherwise attract crime, lower neighboring home values and incur public services costs – so that they can be put to better use in the future. As properties aggregate in county land banks, they present an opportunity to recreate the future of our urban centers. Vacant land that was previously worthless can be aggregated so it is worth more, sometimes much more. 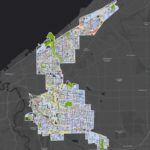 City planners, developers, civic groups and conservation organizations like Western Reserve Land Conservancy then work together to create something special out of the most strategic aggregations of land. Together, we create new parks, agriculture and greens space woven throughout residential and retail hubs to boost community health and economic development. Supporting the creation and networking of county land banks is a primary focus for Western Reserve Land Conservancy’s Thriving Communities team. And, we are uniquely qualified to deliver this support. 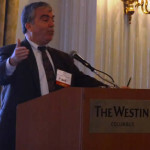 Jim Rokakis, director of Thriving Communities, is nationally renowned for his work on urban housing and land issues. He was instrumental in creating the legislation that enabled this new type of land bank in Ohio, and he founded the Cuyahoga County Land Reutilization Corp, the first county land bank in the state and a major success story. Our services are available to all counties interested in creating a land bank. We host an annual land bank conferences and quarterly network meetings designed to give attendees the latest information on urban revitalization.